Housed within a heritage shophouse, Esora is an intimate 26-seater kappo-style restaurant. 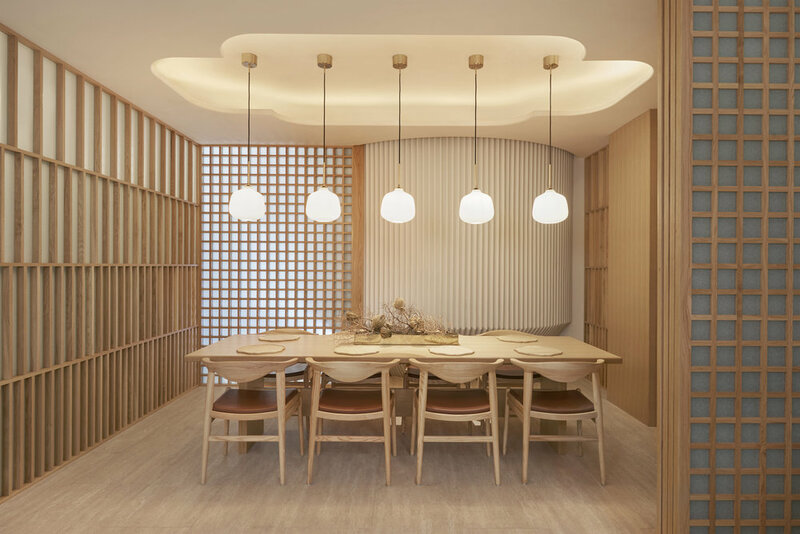 The design of the space reflects a modern interpretation of a Japanese dining experience centred around the chefs counter, natural materials such as timber, copper, textured plaster and marble are used. 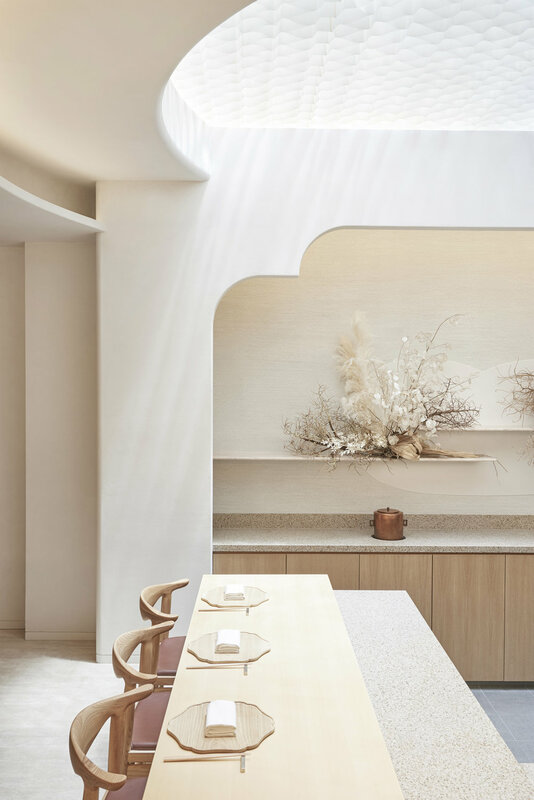 The skylight above the counter is articulated with a curved profile and honeycomb wash paper to filter through the daylight.